This is what I posted for "family" in the photo scavenger hunt. They are in the little Estonian deli near where I work. We haven't had a substantial snowfall yet so no "real" snowmen. But these are pretty cute. It always amazes me how different cultures interpret similar things. 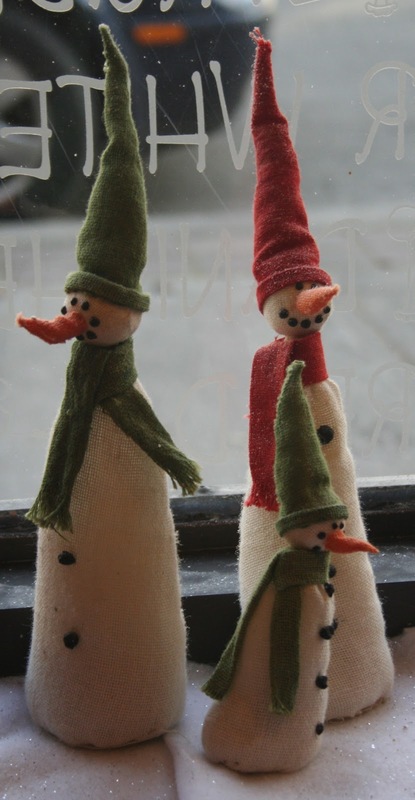 These are presumably a northern European interpretation of snowmen - tall and slender. Quite unlike Frosty who is round and fat. The European Father Christmas is also rather tall and gaunt, unlike our Santa Claus - who was really first presented as a "jolly elf" in a Coca Cola advertisement in the 1930's. 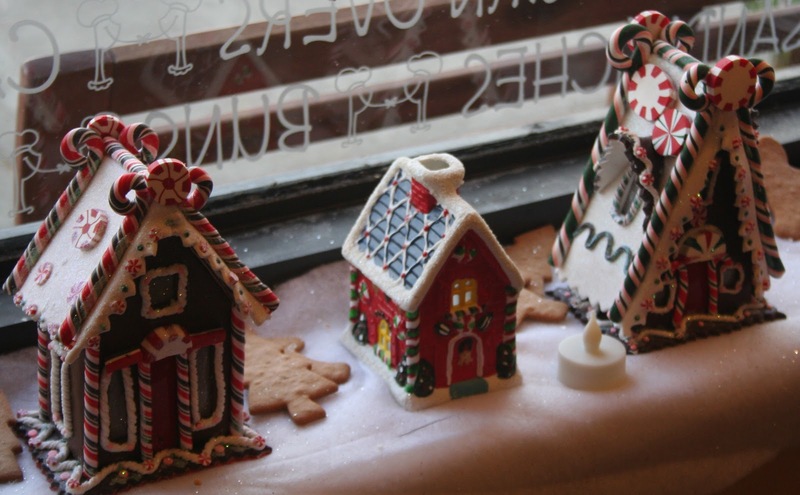 Here are some gingerbread houses also in the deli. This is almost a family of gingerbread houses. I have never made a gingerbread house from scratch. I have trouble icing the gingerbread cookies that I do make a Chrismas. Gingerbread has to be the ultimate comfort food. 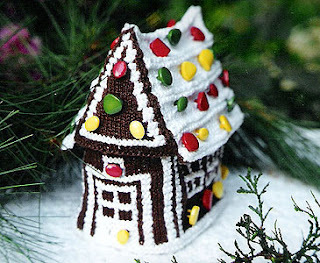 I did however design and knit a gingerbread house, which I never tire of posting whenver I can :) Here it is again this year!!! I often thought that I would like to knit a whole Dickensian village for under the tree and yes, I have to do a creche, a la Jean Greenhowe. I do have some knitted ornaments. These make great gifts. Maybe in a later post, when I open the box of ornaments, I'll take some pictures. Have fun whatever combination your family may be and create some magic! !